Tap @ Sierra. While I'm on my Ommegang tear I'll dig up the stout I had last spring. Not overly impressed but with some roasted malt and bitter aromas it made for an interested brew. Don't need to have again really. I thought this one was a weak effort from a great brewery. Walked into Bier Markt in Cleveland last night and this was the "Stout of the week." I did not realize that Ommegang made a stout until that moment. Kind of a nice and unexpected surprise. Poured into a standard pint glass at the Markt. Review from notes taken there. A Really kind of basic dark, almost blackbody under a minimal very light brown head that stuck around for far too little time. Nothing special with the look other than there might have been a bit of lacing on my glass as I sipped. S Distant (true to style) smell of dark roast malt. Not much else at all. T A basic Irish Dry Stout. Dark roast malt dominates with a nice french roast coffee sense. Not much more going on here. M Thinner than I would have liked but again, I believe that is due to the style (not a thick, syrupy stout). Style or not, I did not care for the feel very much at all. D Fine with low ABV but really, I do not see ordering this rather plain Jane again. Notes: Second Ommegang beer in a row (after "Ale 2009") that did not really do it for me. I still have "Ommegedeon" and "Bier de Mars" waiting for me in my cellar. I look forward to those winning me back over to what once was one of my favorite breweries. m&d: smooth creamy mouthfeel, light to medium body. It is a intersting beer style for Ommegang to tackle. While it taste good, I'd rather see their fermentors used to brew more Rare Vos. appearance - Dark brown color, tan head. smell - Some smokey smell. taste - Has a smokey taste with some nutmeg or cinnamon at the with a slight bitterness. drinkability - I expected more on this one, I wasn't too fond of the taste, wasn't bad. I think I just thought it was going to blow my mind like the other beers from Ommegang. Was able to try this on tap last evening. It was poured to a dark black color with a good-sized deep tan colored head. Had nice retention and left a good deal of lacing. Aromas of chocolate and coffee come to mind with a slight yeast ester that while is in the background, seems noticeable to me. The flavors seem to mimic the aroma as the chocolate and coffee notes come through, the only exception is that I experience a slight smokiness that comes to life at the tail end. Also at the end was somewhat dry. Overall this was not a bad brew, not a favorite for a stout but well done. Imagine we will see more of this in the NY area as it gets closer to St. Patrick's Day. Reviewed on 9/29/08. Growler from Shoreline Beverage. Pours black with a small ring of tan head that dissipates quickly. Aroma of buttered popcorn and roasted malt. Flavor is pretty similar, slightly more roasted with a tinge of coffee. Ok stout but pretty weak. D - Just over average drinkability for me, and it got to be a little tiresome with all of the flavors that seemed to be doing different directions. Had this on tap at MacGregors on Jefferson Rd in Rochester. S - very nice! Chocolate malts, cream, biscuits, and a touch of hops. Coffee notes and dark chocolate as well. Almost like an oatmeal stout. T - toasted malts with cream and dark chocolate. A slight burnt toast taste in the aftertaste. Dry finish. M - full bodied with mild carbonation. Creamy and smooth. D - highly drinkable. A most excellent session beer. Overall - For an Irish Dry Stout coming from a nearly exclusive Belgian style brewery, this is quite good. Very rich, creamy, tasty, and smooth. A good interpretation of the style, almost leaning towards the sweet side, but still very well balanced. I will buy this again if I see it on tap. On-tap 7/17/08 at Pitcher's Pub, in Cumberland, RI, served in a US tumbler pint glass. 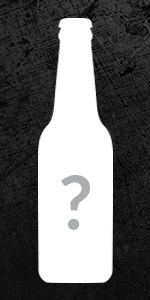 A: The beer is a deep black color, with a short beige head that fades slowly and leaves a thick lace on the glass. S: The aroma is faint but contains Belgian yeast, dark chocolate, some roasted malts and some hops. T: The taste is bready, very malty, but not too sweet with flavors of Belgian yeast, chocolate and coffee. There's a mild but complimentary hops presence. The after-taste is bready and slightly sweet. D: Flavorful, goes down easily, slightly filling, decent kick, if there were a "Belgian Stout" category, this beer would certainly be in it. It might not be the best beer to drink a lot of but it's a nice sipper to drink slowly. Who would have thought that Ommegang would do an Irish Dry stout so well? This is a great example of the style. It is malty, roasted, light bodied and a little dry. The hopping is mild and only appears after the little bit of malty sweetness subsides. Great session stout from a brewery that seems to be spreading its style wings. Poured from the tap into a standard pint glass. Appearance- Beer pours a solid black as far as I can see in this dim bar light with a one and a half finger head of large bubbled tan cream foam. Lacing is nonexistent. Smell- Roasted malts and a hint of sweetness coming off this beer. A bit of Guinness style lactose also hidden in their midst. Non-malted roast barley overall. Raisins and prunes in the lingering scent as well. Taste- Light yet thick. Roasted with a bit of light sourness. Chocolate malt is very light. This tastes an awful lot like a homebrew, not that this is a bad thing. There is a soft water mouth feel, hop presence is moderate. Mouthfeel- Creamy yet bitter, slightly astringent. I wonder if a future batch, if they ever brew it again, will be smoother. Highly carbonated, and medium-full bodied. Drinkability- I like this for a one time deal, but Ommegang should stick to what they know. Served in a pint glass at the Bobcat Cafe in Bristol, VT. Pours an espresso black with a 1 finger tan, creamy head with low retention and thin lacing. Aromas of toffee, coffee, and smoke. Up front flavors of roasted malts-&gt;chocolate, coffee, toffee leading to a smokey flavor finishing with a bitter espresso taste. Full bodied, lightly carbonated, it leaves a creamy mouthfeel. The smoke flavor is very strong when the beer is cold, but as it warms up, the other flavors come in to smooth it out and make it a drinkable beer for the style. Hap on tap with dinner at the Sierra Grill in Northampton. The appearance was typical of a stout, but lacking the high fluffy head typical especially to this type of stout. Smell was interesting, can definately tell what type of beers Ommegang is into brewing. Solid fruityness, yeasty, with slight malts and coffee. Taste was of the fruity yeasts, with more pronounced coffee, somewhat creamy, like mixing chocolate and fruity pebbles together and then drinking the milk. Mouthfeel was somewhat thin but well within style, decent carbonation, good thickness, maybe a little thinner than normal. Drinkability was not bad, not great, it just was, very Belgian and not like any other Irish Dry I've ever had before. A: Dark black with a thin white head. Typical stout look. S: Roasted malt, a touch of caramel, and some smoke. I think I get a bit of yeasty ester in the aroma also. T: Heavy roasted burnt malt with a touch of smoke and a chocolate aftertaste with that same touch of yeasty ester. D: A touch over-smoked and over-roasted for an irish dry stout. Also, the yeast ester I seem to be getting is a bit out of place. Not a bad showing for an irish beer from a belgian brewery. I found this on tap at the Olde Forge in Lanesborough MA. In all ways this seemed an average dry stout (a style I'm not altogether enthused about). The beer was dark brown color with a nice thick tan foam. The aroma was nutty and roasted malts but kind of muted. The taste was neutral to roasted, nothing remarkable in the aftertaste. Mouthfeel is good for the style (close to the viscosity of water). The most un-Ommegangish Ommegang beer I've had to date. On tap at Cole's in B-lo,came in a standard pint glass a regular pour, was actually hoping it would be nitro dispensed, a deep dark brown but not quite black, a slight mocha colored head atop.Roasty aromas with notes of coffee and earth with a lingering very light smokiness,flavors start out with a roasty element but it fades into a watery-like middle with no flavor really pushing thru except a little earth and faint smoke, just seems to peter out quickly.Light mouthfeel to light I think,very average if not a little below for the style in my opinion,this is one miss from Ommegang in my mind. On tap @ Mahar's in Albany. Happy St. Paddy's Day! A- Poured a dark, dark brown with a creamy tan head that disapated pretty quickly. Light coming in at the sides of the glass. S- A bit of roast with a slight smokeiness. T- Pretty smokey with a hint of chocolate. Also woody with a slight hop bitterness in the finish. M- Very light bodied and incredibly dry. A 1/2 pint would have been better because after a while it was like trying to drink an oak stick. D- Not a bad go at a dry Irish stout from a brewery that 'til now has brewed Belgian styles exclusively. Again, a 1/2 pint at a time would be a better serving of this as it is incredibly dry. S: Not really much of a nose on this beer. Fairly typical irish dry stout smell which means not much. T: Nice notes of chocolate and roast at the end. Funky complex especially for the style. M: Super dry even for the style. D: Became very tedious to drink by the end of the pint. Good for the style but could not have had more than one. Thanks to Sigurd for the chance to try this. A- Poured from a 2 liter growler into a pint glass. Poured a black color with a nice 3/4" tan thick head. Nice lacing as you drink it down. S- A bit of an odd nose. Some light hops and malt. Almost plasticy nose too. T- This is a pretty nice dry stout. My only strong complaint is that the hop resin builds up in your mouth as you are drinking. Good malt and hop balance at first but then the hops overwhelm your palate. M- Nice mouthfeel. Lower carbonation makes for a nice creamy mouthfeel. D- Nice overall beer. A bit high on the hops but an overall good drinker. Not at all watery like I have heard. Enjoyed this on tap at the Flat Street Brewpub in Brattleboro. It wasn't on their regular beer menu. Aroma had hints of roasted notes. Black in color, non-existant head. Tasted toasted and roasted with slight notes of currant, and freshly ground french roasted coffee beans, somewhat burnt but not acrid or smokey. Subtle alcohol taste with some noble hops present. Slight horse blanket up front, and finishes clean. This beer was thin, and very light bodied, however it was very drinkable. I guess I'm spoiled by all the other Ommegang products being so way over the top in flavor and taste that I was a little disappointed with this beer. Overall it was an easy drinking beer. It's worth a try. It's true to the style but I just wasn't all that impressed with it. Randy Thiel set such high standards for Ommegang during his tenure there, and I just hope they can strive maintain these high standards.